As part of a larger initiative to educate dog owners on proper nutrition, effective training, and other ways to raise a happy and healthy dog, the Dogington Post is reviewing products, toys, foods, treats, and rescue organizations in our first annual Dogington Post Awards Program! Each week, we’ll present the nominees in a particular category. And, YOU, our readers, will have an opportunity to weigh-in on your favorites, to help us choose a winner! This week, we’re presenting the nominees for Best Wet Dog Food! Each of our Best Wet Dog Food nominees are manufactured in US-based facilities, with thoughtful sourcing, handling, and processing of the foods we feed our dogs every day. These brands are dedicated to improving the health and vitality of our pets through carefully selecting ingredients, providing nutritionally complete foods, and utilizing manufacturing facilities and procedures with the very best interest of dogs in mind. Lotus Natural Food for Pets began with a group of pet lovers with their own retail pet stores in Los Angeles, California, carrying the healthiest foods on the market. Disheartened time and time again when manufacturers sold out to bigger companies, changed their recipes, cheapened their formulas or increased their prices, they decided to create their own dream food – and Lotus dry food was born. In 2011, Lotus expanded and opened their own micro-cannery to make their own grain-free canned stews for dogs. They’re all made in small batches with the freshest, most natural ingredients like USDA inspected lean meats, tender fruits and crisp veggies, flaxseed, and Norweigan kelp, and without processing aids like carrageenan, guar gum or xanthan gum. Tempt your pup’s palate with Turkey Stew, Chicken and Asparagus Stew or Beef and Asparagus Stew. Mmm! Known as “Ellen DeGeneres’ dog food company,” since 1986 Halo has been dedicated to providing wholesome, nutritious, and delicious food for dogs and cats. With a philosophy that nutrition is the single most important factor in your pet’s quality of life, Halo created their signature food, Spot’s Stew in a variety of scrumptious, interchangeable flavors to keep your dog healthy and well fed. Choose from Wholesome Chicken, Succulent Salmon, Wholesome Beef, and Lamb stew recipes. Each can of Spot’s Stew is packed in a US-based, human-grade cannery using premium quality meats, fresh fruits and vegetables, and added vitamins and minerals. The result is real whole food that you know and recognize. What’s more, as part of their dedication to improving the lives of pets, Halo is the official sponsor of FreeKibble.com, a mission dedicated to providing wholesome, nutritious foods to dogs in animal shelters around the country. Through donations and “kibble drops,” Halo is responsible for putting high quality food in the mouths of shelter dogs, making them healthier, happier, and more adoptable! 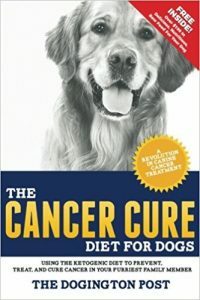 PeopleFüd began when creator, Davyd, lost his second dog at a relatively young age to cancer and started to wonder if diet might have contributed to their deaths. So he began researching dog nutrition, learning from and becoming an expert in the field. When his friend Jon’s 14-year-old dog Wylie stopped eating, Davyd was able to help him. Together, Jon and Davyd started cooking for Wylie and PeopleFüd was born. After just three months on her new diet, after her 15th birthday, Wylie summated a 14,000 foot mountain peak and Jon and Davyd decided to share PeopleFüd with dog lovers everywhere. PeopleFüd is not typical canned wet food. So fresh, they have to freeze it, the food is made preservative free and comes to you frozen. Gently cooked prime cuts of Colorado ranched, hormone free human grade meat, fresh vegetables, and whole grains. That’s it. Just thaw and serve! Additionally, PeopleFüd began their RescueOneDog Fund in December of 2011. Every treat sold by PeopleFüd adds 50 cents to the fund, which helps shelter dogs. Rescues and shelters can participate by selling these treats directly and keep a full half of the purchase price! Check out www.rescueonedog.com for more details. With grain-free recipes like Brauts-N-Tots, Cowboy Cookout, and Grammy’s Pot Pie, Merrick’s classic recipes are “food worthy of a fork!” Made in their own US-based facilities, Merrick uses only real meats, fresh veggies and fruits, and wholesome ingredients sourced locally, never from China. Plus, their food looks, smells, and tastes (yes, we’ve tasted it!) just like the home-cooked food you’re confident feeding your family. With their exceptional dedication to providing our pets with the best nutrition, using locally sourced ingredients and whole, satisfying foods without unnecessary fillers, Merrick truly has your dog’s best interest at heart. Merrick’s classic recipes include 12 wholesome and hearty recipes year-round, with seasonal recipes like Thanksgiving Day Feast and Love Potion No. 9 to provide your dog with special, healthy holiday meals, too! To learn more about Merrick, or to try their homestyle canned food recipes, visit www.merrickpetcare.com. To vote for YOUR favorite wet dog food, leave a comment with your choice below! Call and ask any one of these dog food manufacturers how much salt they put in their canned foods and it will infuriate you. No one requires them to list how much salt they add and most of them are loaded with it. Dogs do not need that much salt in their diets and it is killing them with kidney and heart disease. 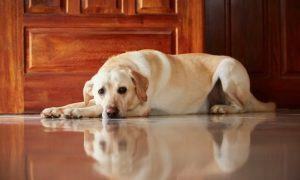 They use salt as a natural mold inhibitor and not because it is healthy for your dog. Call them and see for yourself how much salt is in their food. A dog should have no more than 80-100 mg of salt per 100 calories. Some of these have over 200-300 mg. Wellness Simple Turkey and Potato and Duck and Oatmeal as well as Addiction Duck and Rabbit formulas and a few others are low in salt and dogs love it. My dogs eat Merrick canned food. I’m amazed at how good it looks! And I love the names too. My Golden Retriever is thriving on Lotus. He dances for his meals and has lost some very needed weight. He is not very trim, healthy and happy. I can certainly tell the difference in the texture and it smells like real food. I feed lamb and it smells like lamb. My 18 year old cat is also a huge fan and has more energy and bigger appetite since being introduced to Lotus Chicken. Thank you Lotus!! My Lhasa Apso, who is a finicky eater, eats Lotus Duck Dry food as a snack even! She knows what is good. She always finds the best foods and treats. Lotus is definitely her favorite. It’s crunchy, and has all the nutrients and supplements she needs and I want for her from quality sources and in highly absorbable forms. As I write this, she sits at my feet crunching on some as a snack. It also is not too high protein for her, so her kidneys stay healthy. She is very energetic, fit and full of life! I am so thankful I found this food as it gives me the piece of mind because I trust this food and she absolutely loves eating Lotus! My Lhasa Apso, who is a finicky eat, eats Lotus Duck Dry food as a snack even! She knows what is good. It’s crunchy, tasty, not wet which stains their teeth, and has all the nutrients and upplements she needs and I want for her from quality sources and in highly absorbable forms. As I write this, she sits at my feet crunching on some as a snack. It also is not too high protein for her. She is very energetic, fit and healthy! I am so thankful I found this food! My Chis love love love HALO! HALO is the best. My two dogs love it. Great food, great, caring company! HALO is the best… my Chin eats every bit when it is Halo, but walks away with other brands. Halo. Great food, great company. My dog loves Halo Spot’s Stew. Great food, great customer service, Peoplefud Rocks! I saw Jen’s comments and had to vote, I have the lowest vet bills ever since I started using Peoplefud, who would have thought my dog would be eating healthier than me. Peoplefud…no matter what Jen said…. Just curious if anyone knows when the voting ends and when they will announce the winner? Also, if they’ll announce the winner on this page or another link? Go PeopleFud!!! We’ve basically tried them all and my dogs responded best to Peoplefud. I saw the comments from Jen and obviously she has never tried Peopleful, if she did she wouldn’t be questioning the votes. Maybe Mr. Smith should send her a sample…..my vote is for Peopleful! I vote for #2, Halo! I switched all of my animals to Halo in October of last year, and since then they have had no digestive problems, their coat has become shiny and soft, and they have lost any extra weight they were carrying. Also, they go CRAZY for it. They love it to death. My pug is very picky but loves Halo can foods. HALO! I have heard many stories like the one you relate of dogs and PeopleFud. Some of the folks at work have tried to switch back after starting PeopleFud and their dogs will not eat “regular” food for days until they return to PeopleFud! If you care for your furry friend enough to make room in the freezer, there is no better food then peoplefud! My choice is for peoplefud. My dog goes nuts when he sees the logo!!!!!!! Halo! All my dogs thrive on it. I never worry about the quality of what I am feeding them. Healthy dogs, shiny coats. They LOVE all the flavors! My Brittany (2) and Beagle (12) both adore Halo. They always have wet food in the morning and love every flavor. Each are trim and have shiny coats, the picture of great health! PeopleFud is the best — the dogs love it. My vote is for Davyd Smith!! It’s funny that a brand with only a handful of fans, followers and awareness suddenly has more comments than bigger brands. Guess someone figured out the flaw in this voting system. I am one of the owners of PeopleFud. We absolutely asked our customer base to vote for us, which is small compared to the competitors we are in league with in this. We did let our fans know through social networking on twitter and FB. We have a very loyal customer base and I can say I am overwhelmed by the response. Yes, the other companies could have put out a twitter or used their TV shows to crush us. Funny we are doing so well? Not to us. Our customers, and primarily their pets as well as the product we produce is very serious to us. And we are very excited by the recognition they have provided by going through the trouble of voting for us. We do our best to get noticed, and we are excited about this nomination. The fact is our little consumer base did us a big favor by putting the vote out for the” little dog”. Agreed! Lots of people on here are saying the reason they’re voting for a certain company is because the Ellen Show either promoted it or gave free samples (not sure which), so what’s wrong with PeopleFud promoting the same way? PeopleFud is actually very good and I wholeheartedly suggest you try it out! My dog loves it.. I even tried it myself after watching their video showing a news reporter trying it because it’s made with “human grade” ingredients. I’m proud to support this company and I tell all my friends how great it is and every one of them that’s given it to their pets agree. Doesn’t really add up, Davyd. There’s no interaction on your fan page with your 30 fans, barely any followers on Twitter and let’s not even talk about your less than interesting site. If you can’t get people to talk about you on these social networks, I highly doubt you have people taking the time to comment. Just making an observation. That fact that you are here monitoring this actually proves my point. Why aren’t your fans praising your food elsewhere? I am fascinated with your dislike of my company getting votes. We work with nonprofits and have other FB pages for those intiatives as well as web sites. And we did get posts on there as well. rescueonedog, nokillcolorado, our mailing list of over 1000 customers and other pet product and service businesses in Colorado. 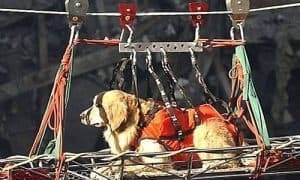 We support multiple non-profits thorugh our rescue work in Colorado and I have reached out to some of them and let them know we are in the running. I have gotten in touch with some of our consumer base and business partners. I speak and email with pet people everyday that know my product, and I have been mentioning it since the day Dogington post notified us. I really find it wonderful that people are stepping up for us and find it so depressing you are disparaging my little company because we are getting some success. We produce some really good products. Just because we haven’t gotten the millions in venture captial yet does not change the quality of our product or the people that were kind enough to vote for us. If you want to know more about our products, practices, ingredients and such, please get in touch with me at [email protected]. I would like to tell you about it. Davyd – We at Dogington Post congratulate you on the great response from your fans! You were chosen as a nominee because of an amazing product and dedication to the health and well-being of the pets we love so much. We are MORE than excited to bring awareness to your brand, too. Quite honestly, we don’t understand the negativity from the commenter above. If I were a reader, looking for the best food I could possibly feed my dog, I couldn’t care less about the label on the package, but only about what’s inside it. Truth is PeopleFud is an exceptional dog food, made with healthy ingredients that any dog owner should feel confident feeding their furkids. Kudos to you! Hi Jen – there’s no flaw in the voting system. It works like this: Nominees let friends and fans know, they visit the site and vote. Clearly the brand you’re referring to has a very loyal fanbase. 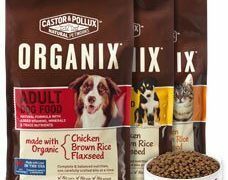 Rather than look at the system as flawed, perhaps you could consider that this is an exceptional dog food with a lot of happy customers. Our nominees were chosen based on the quality of their products, their sourcing and production ethics, and their dedication to the well-being of our pets. 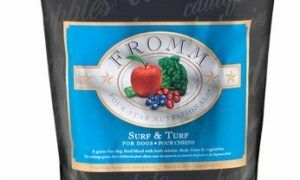 The Dogington Post was completely unbiased in our nominations, choosing only foods that meet a strict standard of quality and nutrition for our pets. We’re happy that a brand without a bottomless marketing budget is able to be recognized for their wonderful product. 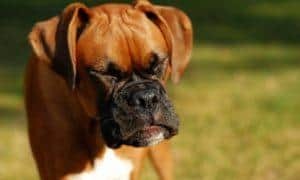 And, we hope that as a result, more dog owners take care in choosing the best foods for their dogs, not based on name brands and advertising but based on what’s inside the package. Clearly you have no idea what you are talking about. The flaw in the system is that one computer can “create” votes. So anyone 1 person can make up a name and email address and your website automatically accepts it. The voting should be based on IP address and should be done one vote per computer since this is an online voting system. Good point but IP addresses wouldn’t work. It’s called public computers like in a library, school or internet cafe. It would be unfair to narrow it down to one computer without really knowing anything about anyone. Besides, many online voting gives you the ability to vote more than once. So who cares. Good job Dogington Post on your first annual awards. Actually, Jen, from where I’m sitting (as Editor at The Dogington Post) I can see the IP addresses connected to every single comment that’s left here. I assure you, we’re taking these nominations and the voting process VERY seriously and will not be counting fraudulent votes. Peoplefud has a very loyal fanbase – as they should – they’re a WONDERFUL product. Just as deserving as any other brand on this list, regardless of marketing budget and distribution. If you’d like to further discuss the nominations, voting process, and winner selection, feel free to contact me at [email protected]. If your intention is to criticize any of our nominees, please send me an email explaining your reasoning. Or, if you’re simply rooting for another brand to win, feel free to share the article and ask others to vote for the brand you like best. As I stated before, The Dogington Post chose these nominees based on a specific set of criteria. We do not have relationships with any particular brand, but are simply showing recognition to dog food brands that offer the highest quality ingredients, display exceptional sourcing and production ethics, and hold the health and wellness of our pets in the highest regard. Also, as far as IP addresses are concerned, some people have to use the same one. For example, my husband and I have one computer and my mother lives with us. All three of us voted, which I believe is fair, but we all used to same computer to vote. So some votes WILL have the same IP address, but it doesn’t mean they’re not REAL people. Even though I respect the Dogington Post’s award, I don’t think MOST people will go through the trouble of making up fake names and email addresses. I could definitely see people doing that if there was a monetary prize as well. But I know that my friends and family that are voting are doing it fairly and honestly.. we want PeopleFud to win, but we want them to win fair and square. I’m sure the other companies agree.. what good is winning an award if people really didn’t vote for you? My vote is for HALO. I don’t have dogs but I have cats on Halo. I volunteer at the local shelter and brought them Halo Pets to try. The furbabies were loving it. Halo Pets is great. Halo Pets. Ellen sent us! Each of these is excellent but my guys can’t get enough of Halo. After that, Dave’s is their choice. Love Ellen! Love Halo Pets! Halo Pets. The Ellen Show sent me. We love Ellen! Vote for Halo Pets! The Ellen Show sent me! Halo Pets all the way. I use Halo Dream Coat. This is because my dog was always scratching. I saw great improvement so then I decided to switch over to dry and wet Halo Pet food. He loves it! Now, he’s got a beautiful shiny coat. Halo Pets is my vote. PeopleFüd! My dog loves it and licks every empty bucket clean. Love that they donate to Freekibble.com. Halo Pets. PeopleFud FTW! Made for dogs but good enough for humans! PeopleFud has always been a part of our dog’s diet. Great Product!!! I learned about Halo Pets through the Ellen Show. She was giving it away to Rescue Ink. So I decided to try it for my dog, Gracie. I previously brought her another natural dog food and she didn’t like it. I had to return it back to the store. It was hard to find a healthy food that she liked. It was to the point that I had to not even think about the quality of food because she wasn’t eating the “good stuff.” So I put her on something that she enjoyed expect I wasn’t thrilled because she wasn’t getting the health benefits. I finally brought Halo Pets. I was worried that she wasn’t going to like it but she gobbled it! That was 4 years ago. She’s been enjoying Halo and being a puppy ever since! My 5 dogs and 3 cats enjoy Halo Pets. So HALO!!! I feed my 2 rescue dogs nothing but HALO PETS! Not only do they love it, they have been as healthy as ever since being on it! Thank you for nominating them! Halo Pets! Best natural dog food ever!!! HALO!, hands down is the best wet food out there. I have one dog is is very picky about what he eats. Halo is the only type of food I can get him to even try. my vote is for HALO wet food! I only buy HALO dry and wet dog food. My 3, used to be 4, are pretty happy with HALO’s canned food as well as their other products and we feel much better feeding them what they like and it’s made in the U.S. with out “furry kids” in mind!!! Keep up the great products. I vote for Halo! my dogs love it and I love how the company gives back! Awesome!!! Halo Pets is like crack to my three dogs! Plus, Ellen DeGeneres owns this pet company. Love Halo Pets. My vote goes to them. My dog’s coat was really dry and itching. He would scratch until fur would coming off. I took him to the vet and was told to get him on holistic food. The doc recommended Halo Pets. I quickly went to the website and found a lot of things like chicken meal, reading the labels correctly, empty calories, etc. Halo Pets has real chicken, veggies and no fillers like rice or corn. Plus they make a vegan medley and grain-friee products. Well, two weeks after the switch my little Archie was better! No itch, no scratch. Beautiful coat without the dryness. Halo Pets all the way! Halo Pets for my baby! He loves it! I’ve never seen him get so excited about his meal time. It’s funny to watch him. As soon as I get home and start preparing his food he starts making grunting sounds and following me around the kitchen (never did that with previous brands). His coat looks great too! Halo all the way! Halo Halo Hands down the #1 for us!! I Know that Halo products have Improved my Furbaby/dog quality of life! Halo is the best!!! We have a cat who sadly is very sick. He has ulcers, IBD, and cancerous cells in his large intestines. About a year ago he lost a dramatic amount of weight. The vet worked closely with us to stabilize him and get him on the right track. One of the things we tried was adjusting his wet foods. We tried everything. The only thing that worked, and stayed down was Halo wet food and dry kibbles. Thankfully it did wonders for Jose, he managed to maintain and gain a little weight and is still thriving. We believe the Halo foods were a vital part of this. We are also a fan of the Halo dry dog foods. We have two beagles who are allergic to all other dog kibbles. Halo products have done wonders for them too. My vote is for Halo Pets. My lab has been healthier since I switched over. Expensive but worth the money. My dogs and cats love Halo Pets! It looks like people food. LOTUS!!!!!!!! IT IS THE BEST AND CLEANEST FOOD. SOPHIE IS FUSSY AND LOVES EVERY FLAVOR OF LOTUS CANNED FOOD! Two votes for Merrick – Grammys Pot Pie and Thanksgiving Dinner for both my little guys! Lotus Pet Food rocks! If you want your pet to eat clean healthy food, check it out! Made in Los Angeles, California! Peoplefud! I love this brand. Never have to worry about what’s in it because it’s all made with natural human-grade ingredients. Lotus by far is the best wet dog food we have ever tried! PeopleFud. All natural ingredients, pure & wholesome & fresh. Peoplefud! All natural, real food for dogs. Whole food supplements, rather than post production added, synthetic, chemical ‘vitamins’. Best food for dogs on the market! I like PeopleFud the best by a long shot. My vote is for Peoplefud. I vote for PEOPLEFUD! They are the best!! Has to be PeopleFud! Love this food, and the business too! PeopleFud all the way !!! I have visited Denver many times, and found Peoplefuds recipes fantastic. Peoplefud! Frenchies dig it the most!! PeopleFud all the way. The dogs love it! Peoplefud “paws” down. My dog goes crazy for it!! Absolutely Peoplefud!!! My dogs love that stuff!! I train service dogs and wouldn’t think to give them anything other than Peoplefud. 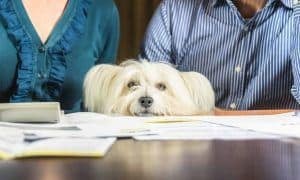 PeopleFud for all our dogs!!! If I could, I’d give them two votes! My Border Collies Love the bison PeopleFud. My youngest pup rolls around on the floor making happy sounds after she has a meal of PeopleFud. Peoplefud my won’t eat anything else. PeopleFud! I have eaten it myself! Fantastic stuff! My vote goes to Peoplefud! PeopleFud, a great start up company with a special interest in helping dogs. PeopleFud keeps my pups running wild and healthy! My vote definitely goes to Peoplefud! My dog loves it! My dogs love PeopleFüd, my rescue pit mix lived 19 years, I wouldn’t trust anything else with my dogs. And as a person that adopts her pets from shelters, I love the fact that part of my purchase price goes to a shelter/rescue group, how many companies do that. Like others, our dog had stopped eating. We tried PeopleFud, and she acts like her younger self again! My dogs love PeopleFud! Highly suggest you give it to your dogs to try, I am sure they will love it! PeopleFud. Our dogs love it and it is so good for them. I love PeopleFud and my dogs do too! PeopleFud is absolutely the best. PeopleFud! No doubt about it! Definitely PeopleFud! No doubt about it! Merrick wins paws down. Why wouldn’t you feed a food that the company believes in so much that they do all of their own processing and don’t trust any one to do it for them! i am voting for peoplefud!!! My old dog loves PeopleFud! Made in the USA and locally sourced! Can’t beat it and both of my rescues love it! My newest rescue, Sam, was very uninterested in eating until he tried his brother’s Merrick Lg Breed. Now he tells me when its dinner time! Merrick is an amazing food, my dogs love it! Peoplefud is our dogfood of choice…we met them at the Cherry Creek Farmers’ Market when they started and we have liked them ever since. PeopleFud is our dog’s favorite! Our favorite too! Merrick!!!!! It is a best seller at my store. If there were ever a natural disaster, I’d be sure to grab cases of Merrick for my dog and myself! My dog loves Merrick! I love the nutrition and supplements the food provides for him. PeopleFud is amazing! You can identify the individual vegetables and meat. It really is an awesome product. My dogs love it! I know it is just what it says. It is people food and that is what dogs want! PeopleFud all the way! Our almost-12 year old dog stopped eating, and had trouble walking. We were debating whether her time had come. We tried PeopleFud, and what a change! She jumps up and down when we get the food (fud) out, just like a puppy. She downs her meal in about 30 seconds and licks the bowel. She can now go on longer walks without limping. We swear by it! PeopleFud, I tasted it myself it’s good. Peoplefud all the way! My dog loves it and I feel good about giving it to him. Lotus is an amazingly healthy, wholesome food. And my shitzu clears his bowl in about 4 seconds. Peoplefud, due to their dedication to pet health in more ways than just one! PeopleFud for sure! Doesn’t get any better than this stuff. PEOPLEFUD, they really are dedicated to food for healthier dogs. Peoplefud is the best out there! Davyd’s dedication to the health of animals and the emotional well being of their people is unsurpassed, and Peoplefud has helped my best friends make full recoveries from some very difficult situations. Add to that the fact that Peoplefud is human grade food, and actually tastes good! I love the Peoplefud! I use it all the time. My dogs love it. PeopleFud! Without a doubt! My dogs love it! Halo is Henry’s favorite food. He has a beautiful coat and his feet are no longer itching. I also give him Halo dream coat. Merrick… LOVE IT!!! Dogs LOVE IT! Merrick……….My dogs love it..just wish it was a little cheaper! Merrick! My dogs love it…just wish it was a little cheaper!! PeopleFud!!! My dogs LOVE their food. PeopleFud!!! 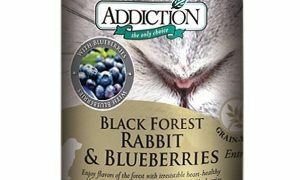 This is wonderfully FRESH wholesome food for your dog! Evo 95% chicken & turkey. Protein-rich, low-carb, no grain, raw diet. My vote is for PeopleFud. Dogs love their products, and much thought and research has gone into making people quality food for dogs. 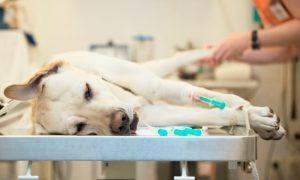 Many dogs have had their health problems reversed or lessened by this good quality diet. The owners are very nice people too. People Fud is the best! Halo – beautiful coat, lots of energy. Great food! Halo is my dogs choice and it makes his cost so soft and shiny. animals ( I.e. Freekibbles). A responsible company that endeavors to educate pet owners and hold firm to a mission of altruism. My vote goes to Halo Pets! I have two cairn terriers that absolutely love Halo especially the Salmon and Lamb recipes. We rescued a 2 week abandoned kitten – and Halo is the only brand of food I will feed him. Weaned him from kitty replacement milk to steamed carrots, peas & chicken – then transitioned him to Halo because it has chunks of veggies and he LOVES it. I voted for Ellen because of Halo Pets! And now Halo is nominated so my vote is for them! My dogs love Halo and all of us love Ellen. TRY PEOPLEFUD AND YOUR DOG WILL LOVE YOU FOREVER MORE. Halo wet food is made from such good quality ingredients and my dogs and cat love it. Halo Chicken Stew is my dog’s favorite food EVER… And I love it because it smells delicious when I open the can! I’ve seen amazing results from Halo wet food. So, definitely Halo! I have been buying PeopleFud for several years and the dogs love it. I love the convenience of the ready to go tubs. Always fresh and just enough variety. I highly recommend this to your critters to try. PeopleFud is an amazing product. Your dogs will love it!!! PeopleFud – it has a great source of nutrition, fresh ingredients, well made, a good consistency and my dogs love it. Sometimes it looks better than what my wife cooks for me. PeopleFud! It is REAL, FRESH FOOD. My vote definitely goes to Merrick. We have been using it for years. I’m biased, but our three rescues thrive on Halo Spot’s Stew. Halo all the way. Best ingredients, best results… shiny coats, high energy, etc. And, dogs LOVE the taste! Have used Merrick for years now, Good mixed with there dry food. My dog love the chicken wings by Merrick and also other Merrick cans..
My guys thoroughly enjoy Taste of the Wild High Prairie and Pcific Stream. I mix in just a little with their TOTW dry food. 🙂 Even works great for my elderly collie with a tender tummy. Whole Food Canned. I use to feed my dogs wellness but the texture was not consistant and switched to Whole Foods, great quality. Definitely Merrick. Their canned food is like chunky soup with real cuts of meat and potatoes. My dogs love it and mixed with their dry food and it never gives them any digestive problems like other wet food. THeir groomer noticed their skin and coat is much healthier since they started eating it. Merrick! Not only is it made and sourced here in the USA, the bioavailablity of its’ nutients is great! My Rocky loves it plus the kibble! Merrick Grain Free Canned Dog Food is wonderful. My dogs love it and it is Made in the USA! My sweet girl loves Merrick dog food and I love the company. I even recommended it to a friend who claimed her older dog will only eat people food. She loves Merrick and my friend loves the fact that she doesn’t have to cook her dinner anymore. Halo is my choice. I sold it in my store when it first came out and have always given it to my dogs without a problem! I have never seen a recall or complaint against their company. Merrick has always worked well for our dogs. Halo is my choice. I have used Halo’s Spot’s Stew for my dog for over two years now and I couldn’t be happier with it! It is a healthy, delicious, nutritious, and full of goodness. My baby loves it! His coat is healthier also since he’s been on it. Halo is definitely #1!